There are currently over thirty different bobbin styles that are used with sewing machines. (The size of the bobbin is known as the bobbin's style.) Every sewing machine is designed to be used with a specific style of bobbin. Many know how bobbins aid in sewing, but don't know or understand their various styles and uses. Some of the most common bobbin styles used for industrial sewing are listed below. Style 41 bobbins are the most common pre-wound bobbins used in Class 7 sewing machines. The most popular end use for these bobbins is sewing synthetic web slings and tie downs. Style 58 pre-wound bobbins are commonly used to sew tarps, canvas and covers. The Style U bobbins are slightly smaller in diameter than the Style 58 bobbin and are commonly used for sewing tarps, nets and tie downs in both industrial and heavy-duty commercial sewing. 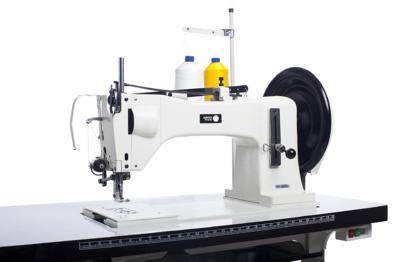 Style M bobbins are commonly used for sewing canvas, upholstery, heavy fabric and leather with mid-large sized commercial and industrial sewing machines. Style G bobbins are usually used in small-medium sized industrial sewing machines. Style A bobbins have various end uses including garment sewing and embroidery with home, commercial and industrial machines. Get out the instructions - Consult your machine's manual, or its manufacturer. Both of these sources should be able to confirm for you the size bobbin needed to properly operate the machine. Check out your last bobbin - Maybe it has been a while since you have needed a new bobbin for your machine. If that's the case, try looking around to see if you still have the box or package that the previous bobbin came in. There should be a style listed on it if you do happen to find it. Look at this chart - This chart lists over 30 different manufacturers of sewing machines, and over 1,000 different models under those brands. All you will need to do is locate the brand and model of your machine. Once you reach that page, you will see the bobbin style listed that corresponds with it. Compare bobbins - Try comparing your used bobbin to various new bobbins. Take measurements of your current bobbin, then look for a new bobbin with those exact measurements. Once you find it, just take note of the style listed on the new bobbin's box so you will have it for future reference. If you need help determining the bobbin style that your industrial sewing machine requires, let us know!